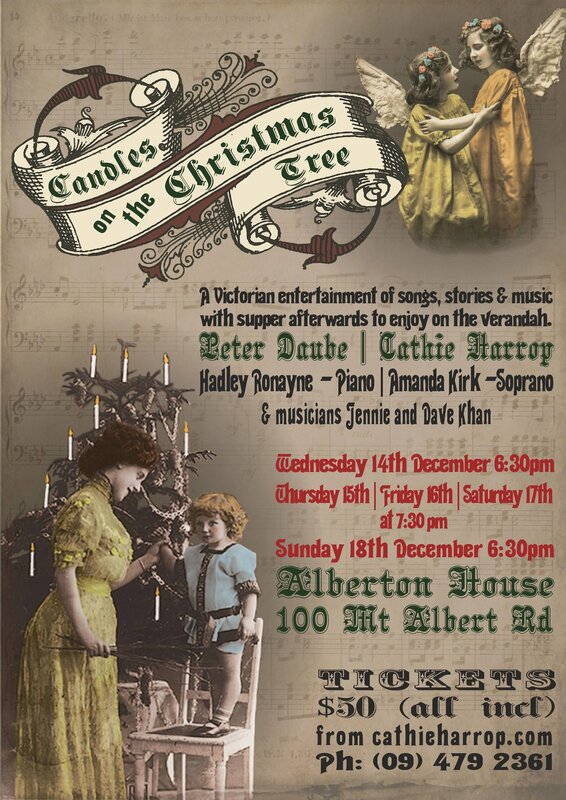 Cathie's Christmas Concerts have been running for nearly 30 years at various historic places around Auckland. 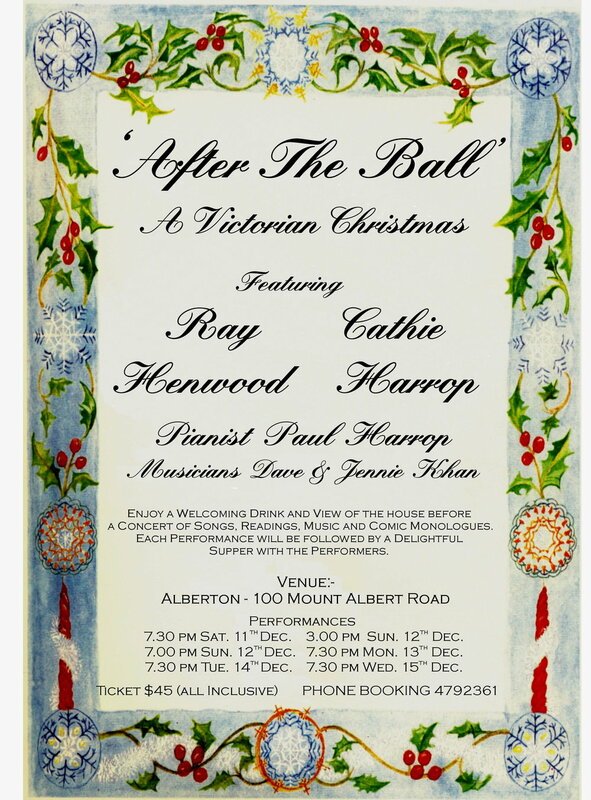 This one took place at Alberton in Mount Albert, Cathie and George sang songs and recounted stories to delight audience over 4 shows. The whole concert was enhanced with Paul on the piano, Jennie with her cello and Dave on his mandolin. Their variety of music moved those present with their humour, pathos and sheer virtuosity. Of course the 'maids' added even further variety with Amanda's solo and her duet with Nikki. 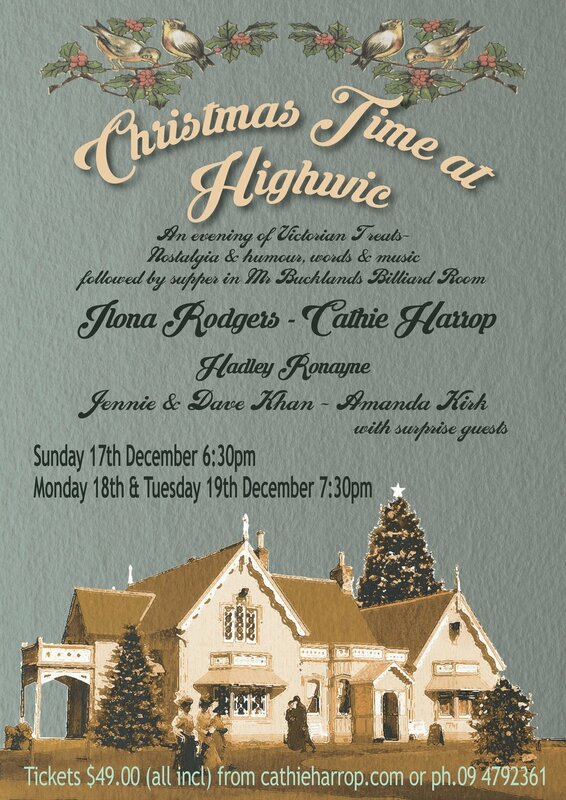 The evening, as usual, was rounded off with carols lead by the caste and supplemented by friends, family and audience members. 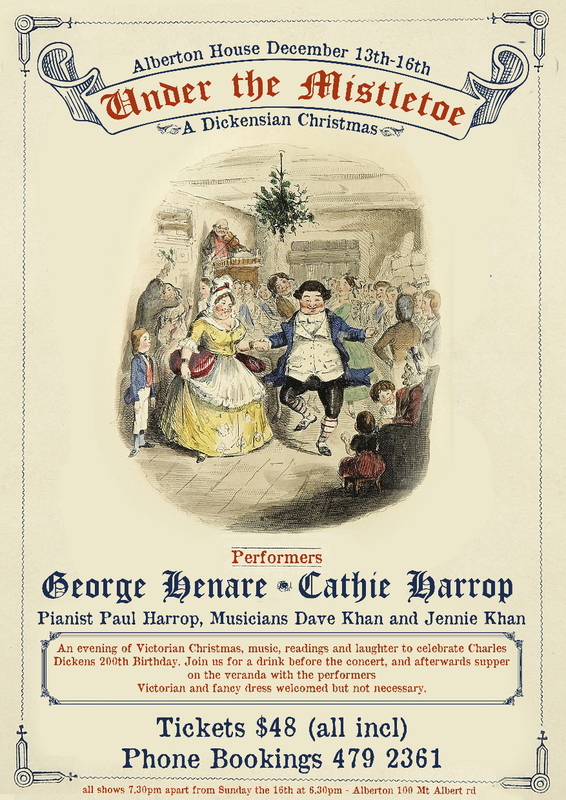 Supper was available after the show on the verandah where audience and caste could mix and mingle over a variety of Christmas fare.